Figuring It Out: Gratitude as "Fuel"
Coincidentally I have made "gratitude" an ongoing focus and a personal goal of mine this year - as an administrator, husband and father. I shared this personal goal of gratitude with the students and parents at the school to start the school year. My main message was that I was going to be more attentive, mindful and grateful for those things in my life that I often “forget” or take for granted. I shared that I wanted to be mindful and grateful for things such as a my job, the love of family, friends, personal health and the country in which I live. To help me maintain this focus on gratitude and to share this "gift" with the admin team, I placed a small book of “Gratitude” on my table in my office. I then invited the team, when so moved, before our weekly meeting to hand write a note of gratitude anywhere in the book. We have maintained this little ritual as an administrative team, and from time to time a member of the team will write in the book about something or someone for which they are grateful. 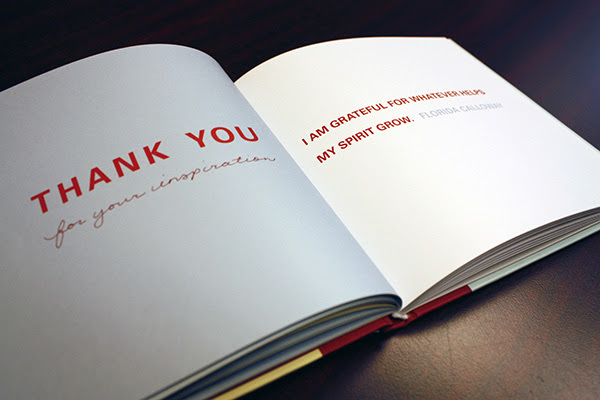 Today, this book is full of inspiring messages of gratitude. When I need a boost, I often pick up this book and read the many personal notes of gratitude - proving once again, that gratitude often provides necessary “fuel” and motivation to take on the many challenges and goals in our lives. In a similar way, we have a long standing tradition the school that all staff meetings end with "Acknowledgements". This is essentially the practice of "staff thanking and acknowledging staff". Teachers and staff stand up and thank each other for the various ways in which they support other. I always marvel at how uplifting those moments appreciation are for everyone. Me writing this post serves as another personal reminder to be mindful and grateful for those wonderful things and people I often fail to fully appreciate. Just read “Thanks a Thousand” by AJ Jacobs in which he seeks to thank at least 1000 people who make his morning coffee possible. Highly recommend it to you.